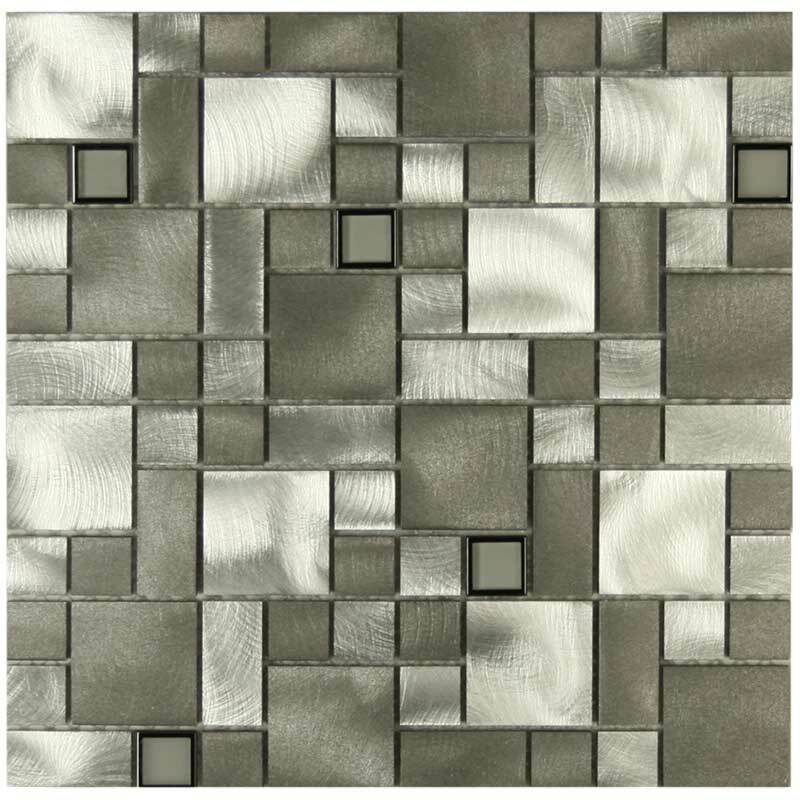 This aluminum and glass blend has a combination of shiny etched, polished, and matte textures. 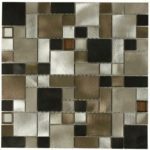 The glass pieces are framed with metal to add another aspect of playfulness to this product. The aluminum pieces are hollow on the back for a super light weight feel. When installing, there is no need to fill the entire back cavity as the extrusion lugs on the pieces provide an excellent mechanical bond. Always cut with the finished side down. When cutting, feed the product very slowly to avoid grabbing. Do not cover or protect the surface with adhesive tape of any kind.